Update your space with Modern Trellis Peel and Stick Wallpaper. Offering a fun and fresh way to decorate, Peel and Stick Wallpaper is printed on high quality vinyl that is repositionable and removable, making it a go-to, budget-friendly choice for both temporary and permanent projects. Perfect for accent walls, furniture, backsplashes, DIY decor, and more, simply peel and stick to install. Completely easy, create endless style-worthy possibilities with RoomMates Peel and Stick Wallpaper. 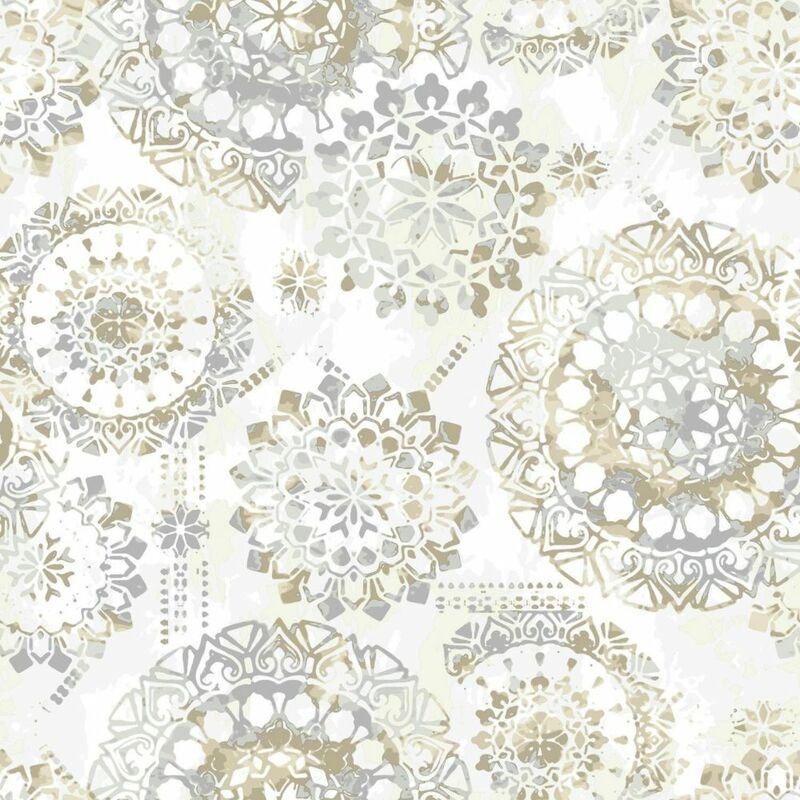 Bohemian Peel and Stick Wallpaper Offering a fun and fresh way to decorate, Peel and Stick Wallpaper is printed on high quality vinyl that is repositionable and removable, making it a go-to, budget-friendly choice for both temporary and permanent projects. Perfect for accent walls, furniture, backsplashes, DIY decor, and more, simply peel and stick to install. Completely easy, create endless style-worthy possibilities with RoomMates Peel and Stick Wallpaper. Bohemian Peel and Stick Wallpaper is rated 5.0 out of 5 by 2. Rated 5 out of 5 by Mali from I love this wallpaper. It was easy to apply and... I love this wallpaper. It was easy to apply and a good quality. Worth every dollar. Delivery was fast too.